OnePlus, makers of the One smartphone that still requires an invite to purchase, recently announced the launch of OxygenOS. This custom operating system is based on Android Lollipop 5.0.2 and is available as of writing for adventurous One Plus One owners. In a blog post announcing the ROM, OnePlus said they place things like performance and battery life over gimmicks and bloated features. As such, they are going to be careful not to add features simply for the sake of differentiation. The whole idea is to keep is light and essential. The company described the development process as being an incredibly fun and challenging experience. I used the term adventurous because this is the first iteration of the forked Android operating system. OnePlus said it released it primarily so end-users could begin taking a direct role in the future of OxygenOS by helping to pinpoint bugs and so forth. There’s a feedback app in the company’s forums that’ll let users submit comments directly to the ROM team. 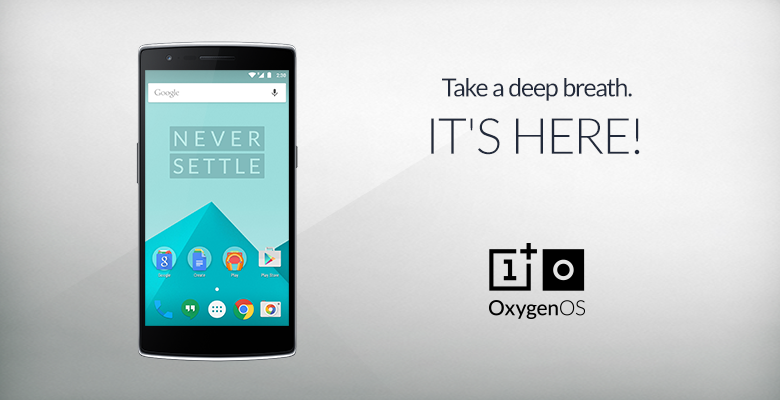 The OnePlus One captured headlines last year as an affordable yet powerful handset. The company was able to control supply through a limited invitation system that only allowed so many people to order the phone at any given time. Phones up to this point have come pre-installed with CyanogenMod but after the two companies had a falling out late last year, OnePlus turned its attention to building its own ROM. The new ROM isn’t available over-the-air just yet. Instead, OnePlus One owners will need to follow this link to reach the ROM and its installation guide.